When many people think of dental problems for children, they think of cavities or chipped teeth. And in fact, according to the Australian Institute of Health and Welfare, nearly 50% of Australian children do suffer from tooth decay. But tooth decay is not the only dental problem that needs to be addressed in children. Crooked teeth are another major problem (and one that can lead to tooth decay and cavities). The decision to get braces for kids is about more than just looks. Crooked teeth can cause a variety of health problems and harm a child’s self-esteem. A Supa Smile is your partner in improving the oral health of your children, including the use of braces where called for. 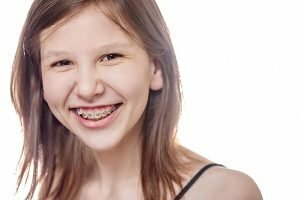 Keep reading to learn just a few of the reasons braces for kids may be necessary. Every child should get an orthodontic evaluation around the age of seven. At that age, an orthodontist can identify potential problems and analyse if early treatment is called for. Early orthodontic treatment can avert even worse misalignment issues as adult teeth come in, and prevent bigger issues in the future. Many orthodontic treatment starts between ages 9 and 14, but if your child is going to need treatment it is better to receive a recommended timeline early and avoid being surprised with a sudden need for treatment later a few years later. And some children do benefit from earlier treatment. The first appointment won’t be too lengthy, but you will receive a lot of information, as well as sharing health-related history with the doctor by completing new patient paperwork for your child. The orthodontist will evaluate your child’s mouth— the teeth, gums, the bite, the jaw, etc. X-rays and/or impressions may also be taken. The result of this assessment is used to develop a treatment plan to straighten your child’s teeth. The orthodontist will also look for signs of decay and any other dental issues that need to be fixed by your child’s pediatric dentist before orthodontic treatment. You and your child should feel at home asking questions during this appointment. If you are not comfortable, the orthodontist may not be the right one for your family. Why is orthodontic analysis and treatment so important? Less Trauma. Children with badly crooked teeth or misaligned bites can be subjected to ridicule and bullying. If your child has very crooked teeth, you can help him or her to avoid this type of treatment through orthodontic treatment including braces. In some cases, early treatment can be finished before adolescence. This is valuable because younger children are less likely to be self-conscious – finishing treatment as soon as possible can help them avoid the social and oral awkwardness of braces during their teen years. Better Health. Crooked teeth and jaws can lead to multiple health issues that go far beyond oral health. Because of bacteria build-ups in hard-to-reach crevices between the teeth, crooked teeth and jaws can certainly lead to gum disease. But this build up can also contribute to diabetes, heart disease, pneumonia, and stroke. More Career Opportunities. It may seem unfair, but a degree and job experience are not the only criteria that help people land jobs. One study demonstrated that the condition of an applicant’s teeth can affect job possibilities. People with straight teeth are nearly 50% percent more likely to land a job than those who suffer from crooked teeth. Better Dating Prospects. The same study found that people with crooked teeth were less successful at dating. Lifelong Benefits. Overall, those with straight teeth are seen as being more attractive, happy, healthy, successful, popular, and smart. Others subconsciously associate the appearance of your teeth and smile with your hygiene, wealth, and intelligence. As a parent, you want to provide your child with every opportunity in life. A stunning smile is one way that you can help them lead a successful life. So, go ahead and schedule an appointment with A Supa Smile today! Get your FREE Consultation for your child’s braces today!